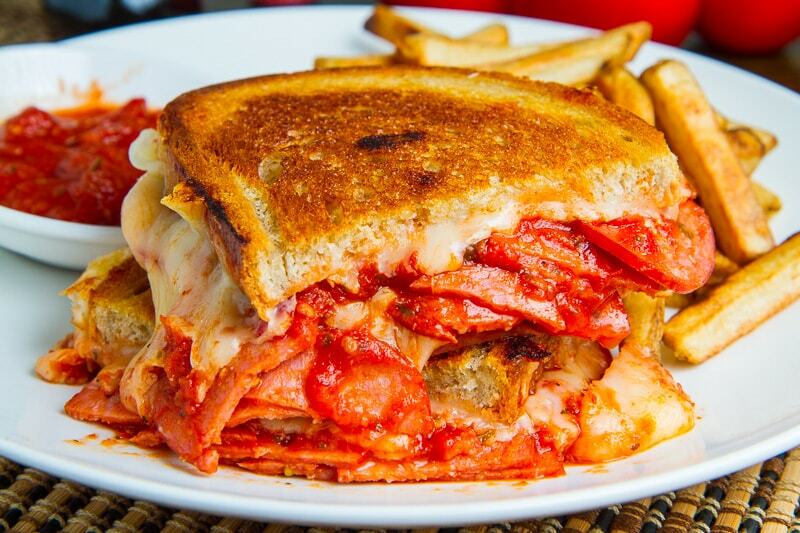 A pepperoni pizza in grilled cheese form! 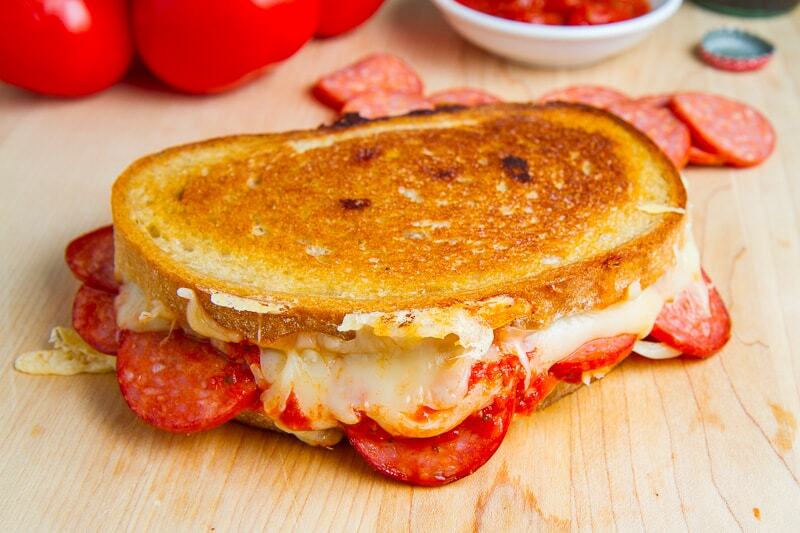 Buttery and toasty golden brown bread stuffed full of ooey gooey melted mozzarella cheese, pepperoni and pizza sauce. I am kicking off National Grilled Cheese Sandwich month with a combination of two of my favourite foods, the grilled cheese sandwich and pepperoni pizza! This grilled cheese is so easy to make! 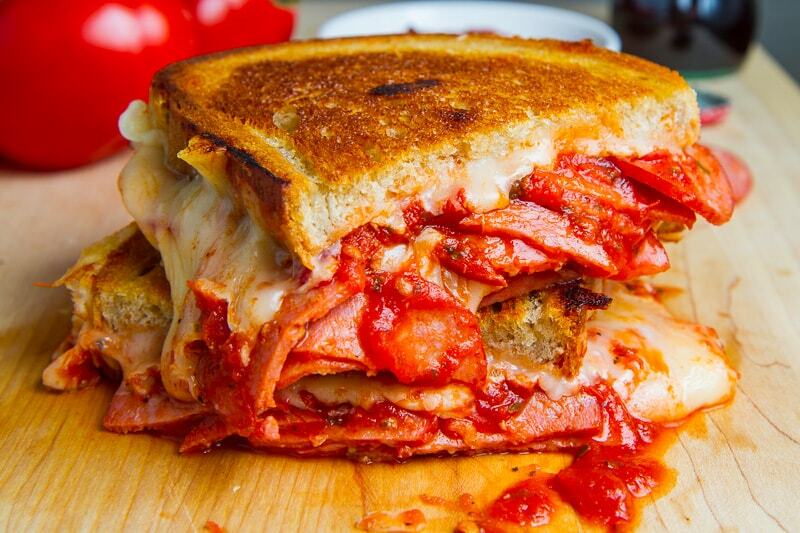 You simply butter up some bread, stuff it with pizza sauce, pepperoni and plenty of mozzarella cheese before grilling it to golden brown toasty perfection! 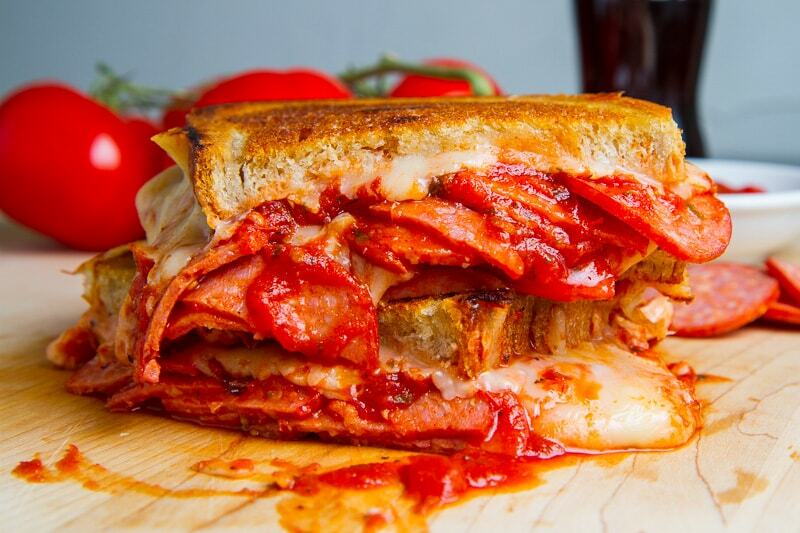 Pizza melts are one the greatest things going with all of that ooeing, ooey, gooey melted cheese, pizza sauce and pepperoni and they are an amazing way to celebrate all things grilled cheese! Butter one side of each slice of bread, place one slice in the pan with buttered side down, top with half of the cheese, half of the pizza sauce, the pepperoni, the remaining pizza sauce, cheese and finally the other slice of bread with buttered side up. Great idea. Two addicting comfort foods in one.